The Lake District, which is commonly known as The Lakes, is full of small, big, deepest and longest lakes. Buy a single copy or subscription to Lakeland Walker magazine. The scenic surroundings and the bluest lake water has been an inspiration for many poets of England. 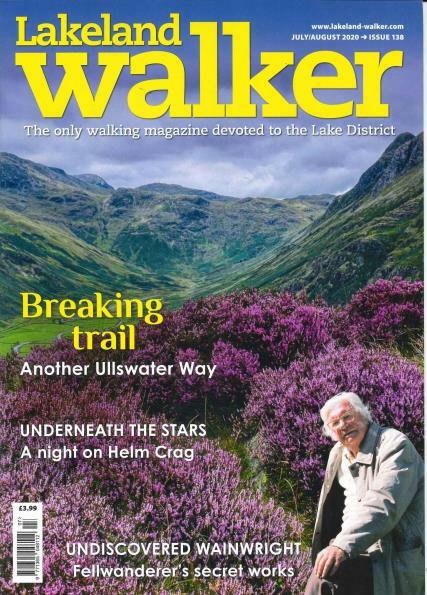 The Lake land Walker is the ultimate and only magazine that is dedicated to the beautiful Lake District. Each and every issue of the Lake land Walker magazine features many articles constantly urging you to explore the undiscovered Lake lands and shores. This distinguished magazine also serves as a handy reference guide for walking in the lake lands. The surrounding mountains offer exciting walks and hikes in and around the flush natural beauty. The walkers get most wonderful view from the top of the mountains. Apart from the appropriate walking and hiking location, the magazine also have detailed information about the most suitable time and climatic conditions of a particular location along with the level of difficulty and total run in kilometers. This magazine features regular competitions that have attractive prizes to be won.